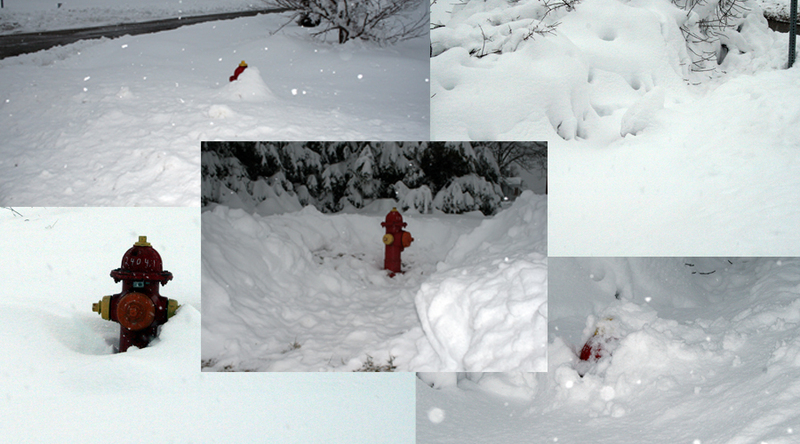 Can you find the fire hydrant in each of the below pictures? Can you find the fire hydrants in these pictures? Adamsburg and Community Volunteer Fire Department wants to stress the importance of clearing away the snow from near and around the fire hydrant that is on your property or near your house. Since the Snow Event on February 5 and 6th we have gotten 21″ or more of snow across the region. This snow along with the plow trucks have partially or completely covered hydrants in Hempfield Township. This can make it very hard to locate and use these hydrants in an emergency. Now today we are expecting an additional 8″ – 14″ of heavy snow which will add to the problem. A total snow fall of +30″ will completely cover most for hydrants if not attended to. Every summer Adamsburg and Commnity Volunteer Fire Department makes an effort to go out and mark the roadway with a YELLOW DOT in front of each hydrant. We do this to make sure that we can locate the hydrants in the winter if we get heavy snowfall. We ask that you as a responsible homeowner make sure to dig out the snow in the area around these hydrants so when we need them we do not have to waste valuable time uncovering the hydrant. In an emergency every second counts, so by saving us this valuable time we can ensure your safety. If you can not physically uncover the hydrant on your property please ask a neighbor to assist you. If you have no available assistance please call your local fire department so they can resolve this issue for you. Remember by taking the time to clear the snow from around your fire hydrant you may be saving the life and property of one of your neighbors or even your own. Posted in: Fire Prevention, Public Service / Relations, Weather Related.